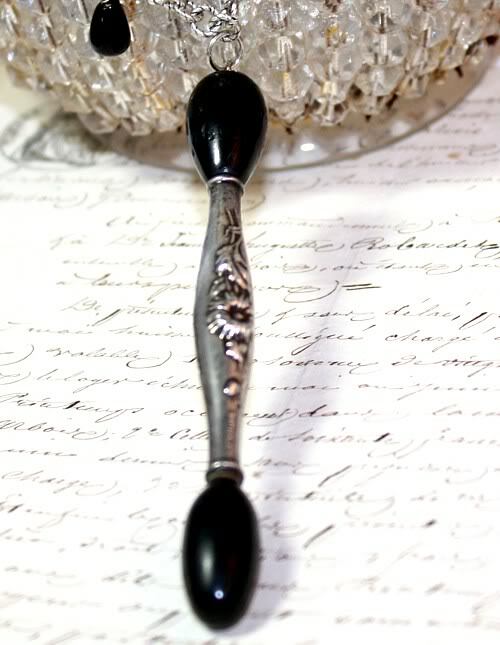 Gorgeous Victorian Sterling Repousse Glove Darning Tool. The Victorian Lady's mending basket was always filled with mending, one of the items her lady's maid might repair were her gloves. 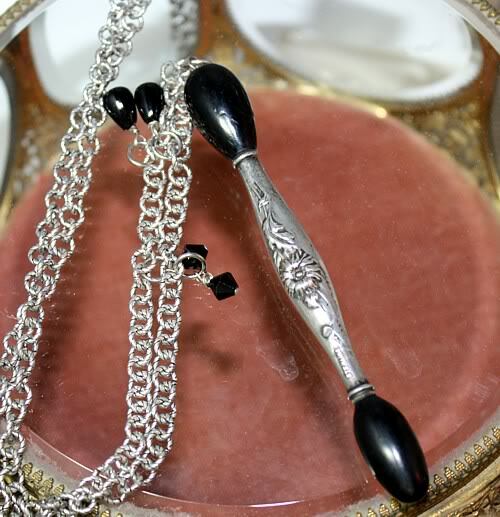 This stunning Silver Darner has a lovely floral repousse design on both sides, the black tips are painted wood, these fit into the tips of gloves to make sewing fine stitches on the luxury leather and cotton gloves easier. 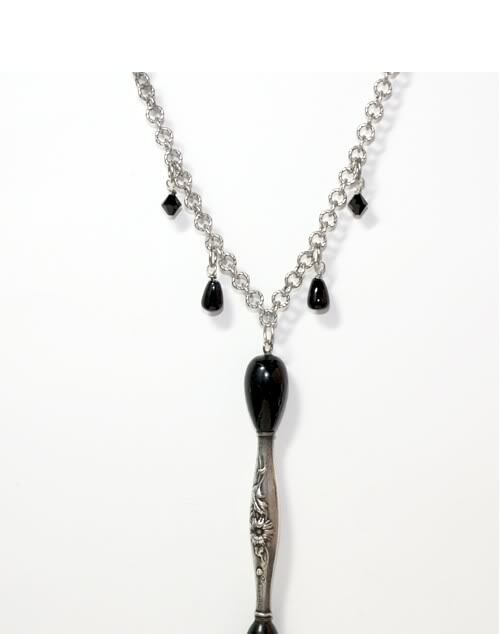 This little gem comes on a heavy Silver plated chain, adds a touch of whimsy to your everyday, especially if you collect Sewing Antiques, or as a gift to a special seamstress you know and love!